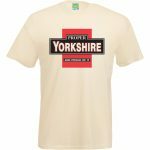 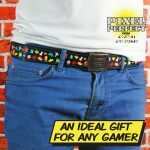 Keep your trousers up in style with our new “Belt Up!” range. 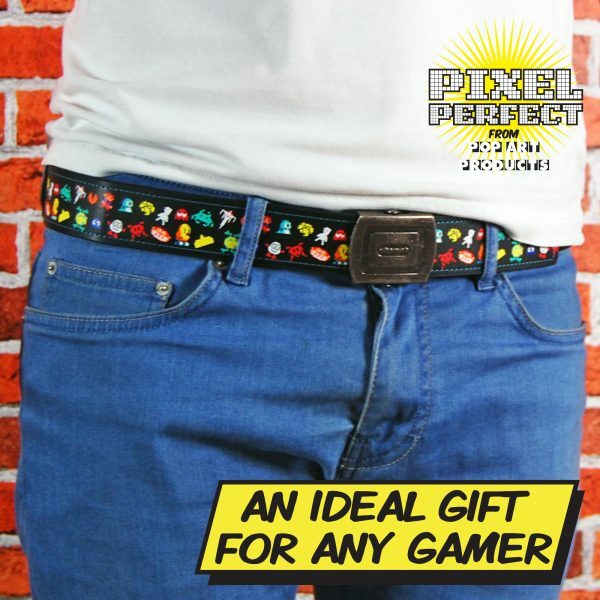 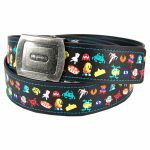 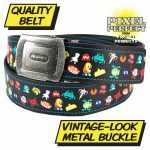 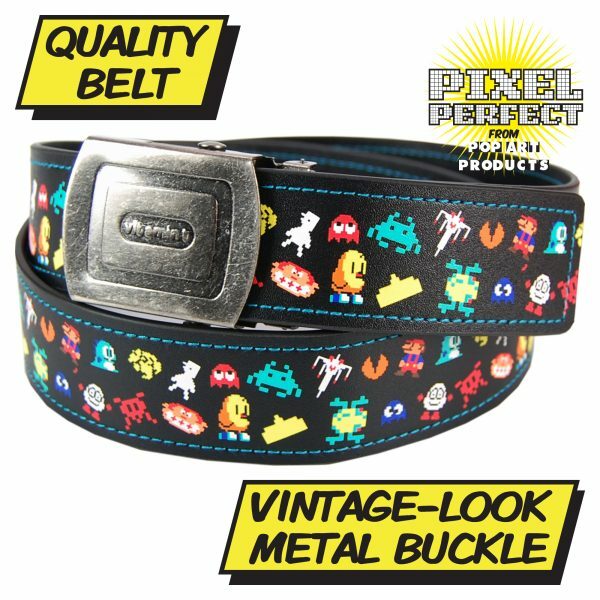 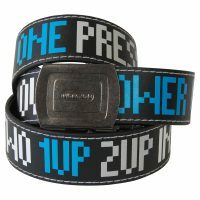 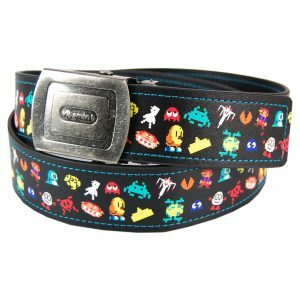 Quality belt featuring your favourite retro arcade characters. 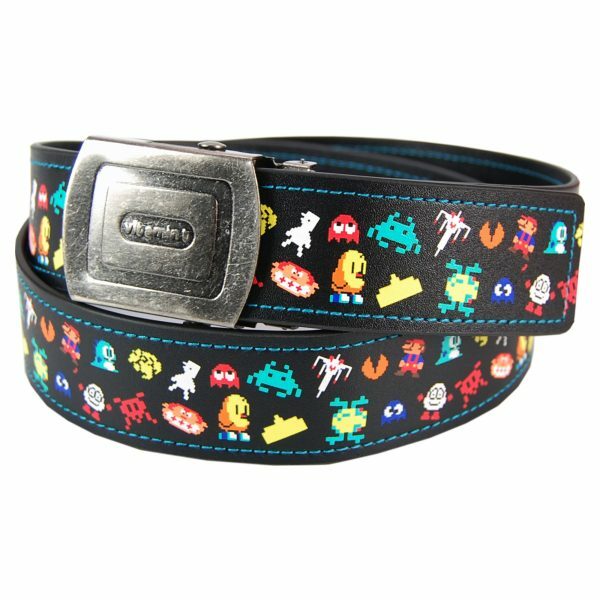 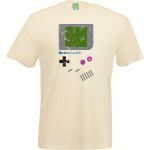 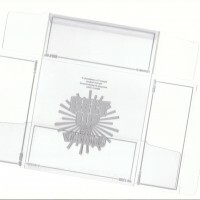 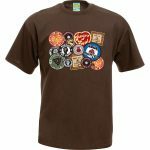 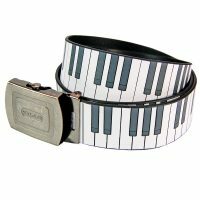 Printed design with a military style belt buckle. 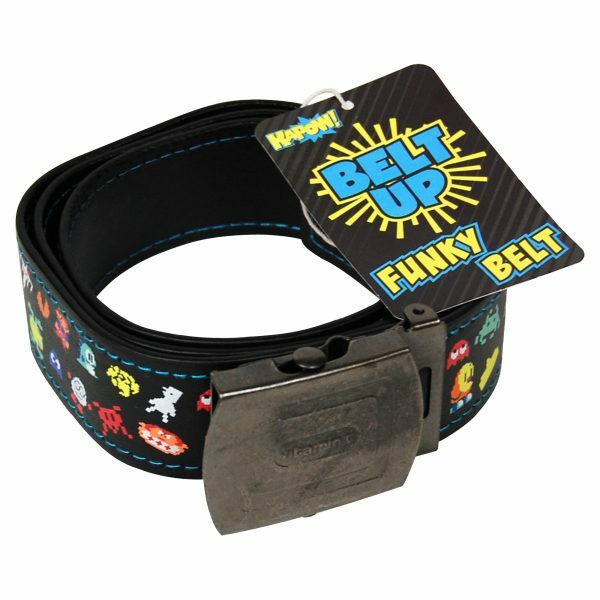 Measures approx 40″/102cm long and 1.4″/3.8cm high.